Morgan James Publishing, 9781630478544, 174pp. If you don't know how to drive a car, it's easy to blame the vehicle for your lack of progress--just like it's easy to blame your boss or your circumstances. The truth is it's you who has to reach down and shift the gears so you can move forward. The same is true in life. 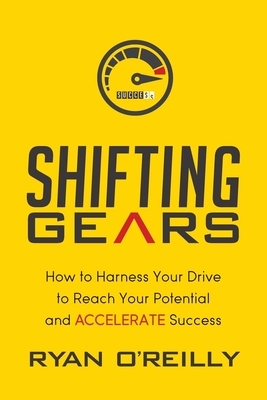 "Shifting Gears" will help you find the right gear to help you gain traction, move forward, and accelerate your success. Are you ready to drive forward to your next level of success in your life and your career? As a professional speaker and executive coach, Ryan helps business leaders and entrepreneurs build high performing teams, break through plateaus and realize their true potential. Ryan worked for 15 years as a sales leader for three Fortune 100 Tech Companies including Apple and Dell and has worked in California, Australia, UK & Ireland. Taking that experience with him Ryan now follows his true passion--helping others drive forward and reach their dreams. Ryan is also an adventure cyclist and keen marathoner and uses the lessons he learns from sports in his keynote speeches, workshops and 1:1 coaching sessions.